If you’re a FIFA fan, you know that Russia hosted this year’s World Cup. The games were held in eleven cities, including Moscow and St. Petersburg. Those big cities are deservedly renowned for their significance, and they are the places most folks visiting Russia go. There is, however, much more to Russia than those two metropolises (click here for another post we wrote about this). 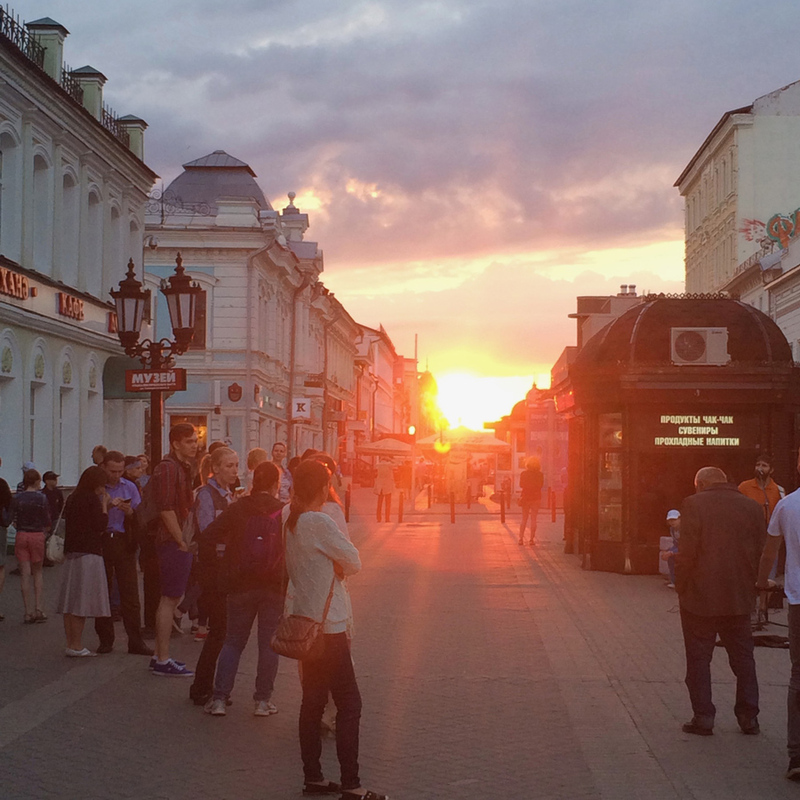 The World Cup helped make this clear, as it drew attention to lesser known Russian cities. One of these lesser known cities that hosted matches is called Kazan. Kazan is considered the nation’s Third City. It is not the third largest, nor is it the third most popular. It is the third in terms of significance, and well worth a trip. France and Australia played there in June, and one of the quarter-final games was held there as well. But I’m not writing about soccer, I’m writing about going to somewhere slightly off the beaten path in Russia; I’m writing about Kazan itself. 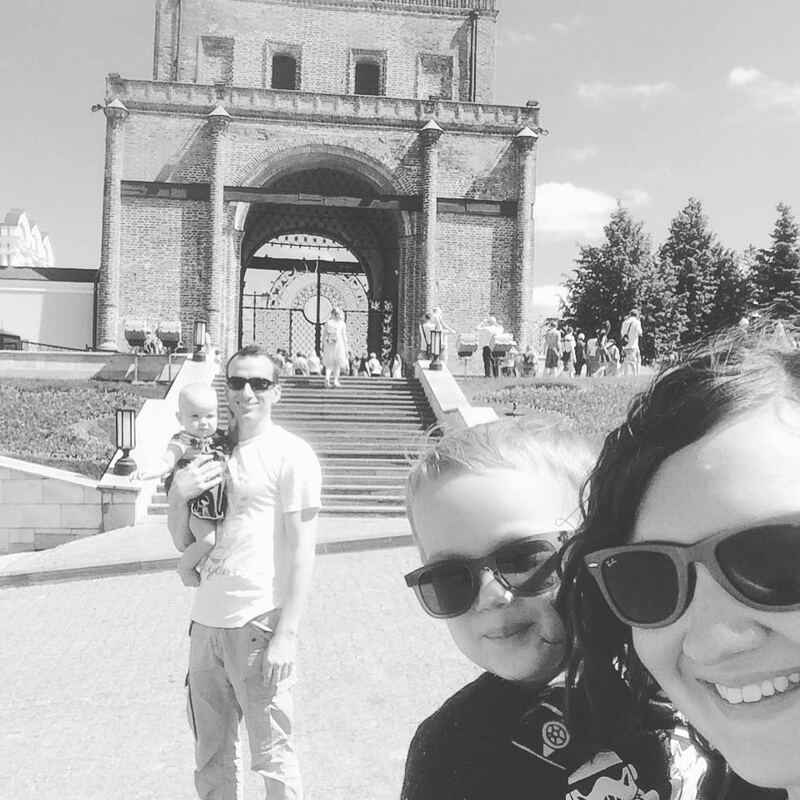 Whether you are visiting Kazan with kids or traveling Russia solo, everything we write about will be fun to see and do. 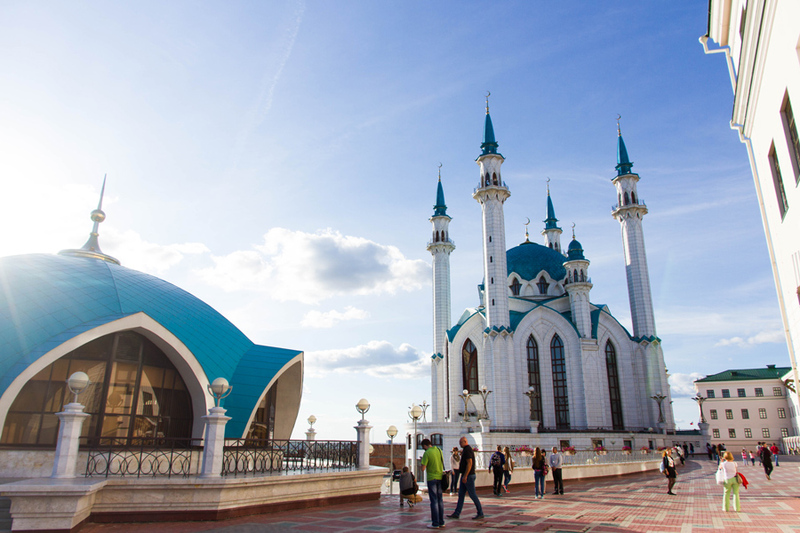 Kazan is the capital of the (very) semi-autonomous republic of Tatarstan. Tatarstan has a population that is more or less equally split between those who are ethnically Russian (generally Christian) and those who are ethnically Tatar (typically Muslim). Three languages are spoken: Russian, Tatar, and English. English is the least used. Compared to Moscow or St. Pete, this is a small city, just barely crossing the 1 million person threshold required for a city in Russia to be given funds for its own metro rail system. Kazan is home to much manufacturing, and some parts of the city have a decidedly gritty feel, but that is quite a contrast to other parts. It is also home to oil, which has given rise to wealth and renovation, breathing new life into the city’s downtown and riverfront areas. As Kazan has been revitalized, an eye has been kept on interesting architecture, leading to many notable new structures to complement old ones. The city has also positioned itself as a sports destination, investing heavily in fine stadiums and venues. Volumes could be written about the interesting history of Tatarstan and Kazan, but I’ll leave that to those better versed in the subject. Suffice it to say that if you like finding out about places with a past, there is much to be uncovered here. Kazan International Airport is about 25 miles south of the city. There are regular flights from Moscow and St. Petersburg via Aeroflot and S7, and from farther afield, Turkish Airlines flies direct from Istanbul; FlyDubai lands here, too. From the airport, hailing a taxi is easy, especially if you have the Tap Taxi app mentioned below. Taxi is an easy way to get around. Tap Taxi is a superb app which offers an English interface. It’s about like Uber or Snap, and fares are affordable. The only catch is to be certain you have cash; having small bills is preferable, too, as drivers don’t often have change for big ones. If you are traveling with kids, make sure to select the car seat option when ordering a taxi. Public buses are very cheap, but as usual in a city, traveling via bus takes a while. Metro is a viable option if you’re staying close to it. There is only one line, limiting its usefulness. Still, it’s very clean, very safe, and, like buses, has announcements in English. If you only have one day and the weather is terrible this will work. If you have a little more time and it isn’t raining cats and dogs, skip the double-decker tour. It just isn’t worth it and most of the cool stuff can be seen on foot. Should you choose to go for it anyway, the buses depart from Tukay Square at the south end of Bauman Street from 10.30am until 7.50pm. The route has 10 stops and the full circle takes a little over an hour. Double-deckers are always a hit with our children but this particular route may be a bit too boring for families. This is a great place for a stroll! 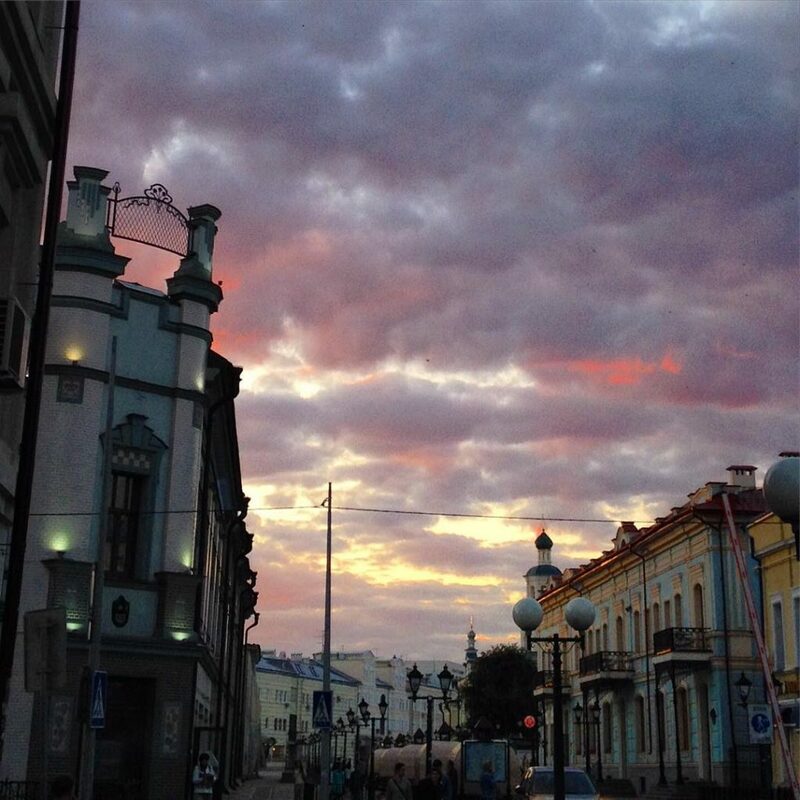 Most people would begin a tour of Kazan by heading downtown. The main pedestrian avenue is called Bauman Street (Ulitsa Baumana). It has interesting sights just a short walk away on both ends, including fountains and the Tatar State Theater on the southern end and the Kremlin on the northern. There are often street performers, and some of the best restaurants in town are here. We loved the chill vibe and the kids loved the pancakes at Sviter Cafe (the name means Sweater in English), which is at the southern end inside the GUM shopping center; for good pizza, hit up Basilico (it’s closer to the Kremlin end, before the the crossing of Chernysheskovo Road). For coffee and dessert, there is Caffeine. For good food and a great atmosphere, head to Humo (a bit off Bauman), and check out Top Hop with its beer-bottle chandelier if you like craft beer (“Siniy Robot” – Blue Robot – was our favorite). Along Baumana itself, enjoy the architecture. Pick up some chuk-chuk to get acquainted with the most famous sweet from the area. The Bell Tower of the Cathedral of the Epiphany is remarkable. The church is often open, too, and is quite interesting to someone unacquainted with Russian Orthodoxy. I wish we got to go up! This is the Syuyumbike tower and the governor’s palace on the right. 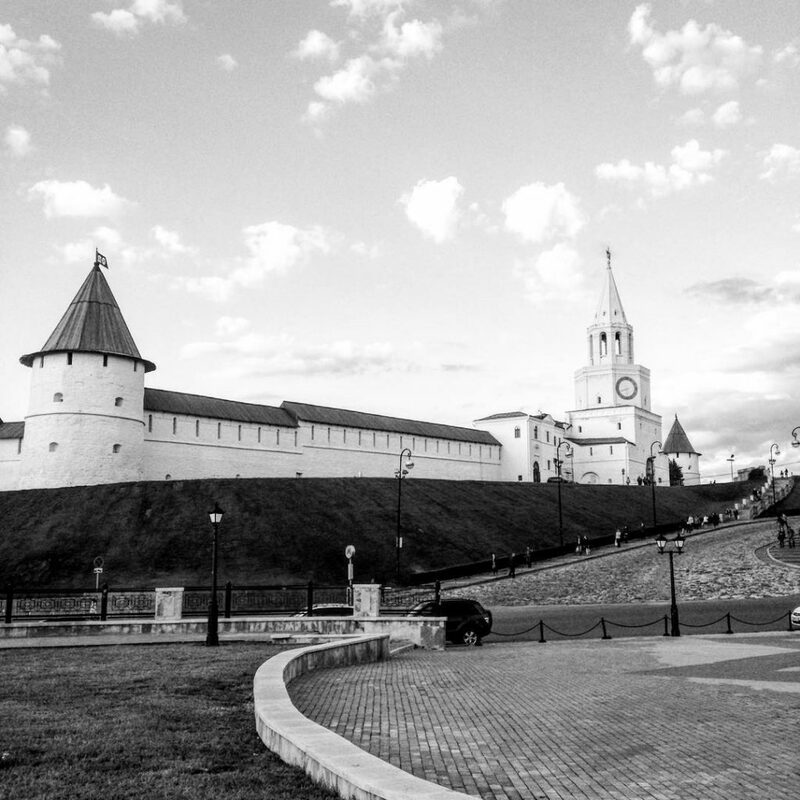 Kazan’s Kremlin is a UNESCO World Heritage Site and a great place to visit. If you’re not familiar with the Kremlins of Russia, essentially they are the old, fortified city centers, much like the castles of Western Europe. Most old cities of any size have a Kremlin. The one in Kazan dates back to the 10th century and, perched atop a hill and resplendent in white, it is quite a sight. Enhancing this, it’s also home to the large Annunciation Cathedral and the glittering Koul Sharif Mosque, both of which are open to tourists (respectable clothes are required). There is the leaning Syuyumbeki’s Tower, which has quite a tale of invasion and suicide to go with it. This part of Kazan is fantastic for kids because they can run around freely and safely while also great for adults thanks to the museums and displays on site. The Kremlin is awesome for little kids because they can run around safely. Horse-drawn carriage rides are frequently available on the cobblestones outside the Kremlin gate; food and drink stalls are often set up. It’s fun to try kvas, the Russian soft drink brewed by a process similar to beer making, and that is sometimes available here. If you didn’t want to walk here from Bauman, or if you want to get home more quickly later, there are both metro and bus stops just outside the walls. Have you been to a mosque before? Here’s your chance! It’s also an easy walk to the the Kazanka River and the beautifully rejuvenated area alongside. Put the kids on a merry go round, find a bite to eat, take a nice stroll along the water, or just relax and enjoy the view. Across the river you can see the curious goblet-shaped building nicknamed “the cup” (chasha) that is home to the Kazan Family Center. Just don’t visit when it’s approaching zero degrees Fahrenheit outside, as we did once. That was a mistake. Speaking of cold weather, there are different, special seasonal events and offerings, such as boat rides and a kiddie train during the summer, and a Christmas village and ice rink in winter, for example. There are plenty of upscale restaurants here, including one called Love Story, which has an expansive menu, and it is a place where kids can make their own pizzas. You can see why the call it a palace, right? The Ministry of Agriculture sits just above all this across a lovely, green open area. This building is intricate, ornate, and palatial. In fact, on Trip Advisor, the place is actually called “The Palace of Agriculture.” It’s well worth the short walk to see from the Kazanka Embankment. From your vantage point here, you’ll be taking in the swankiest of Kazan’s neighborhoods; referred to more or less as “The Oil Barons Neighborhood,” there are numerous ultra-fancy new homes and apartments. 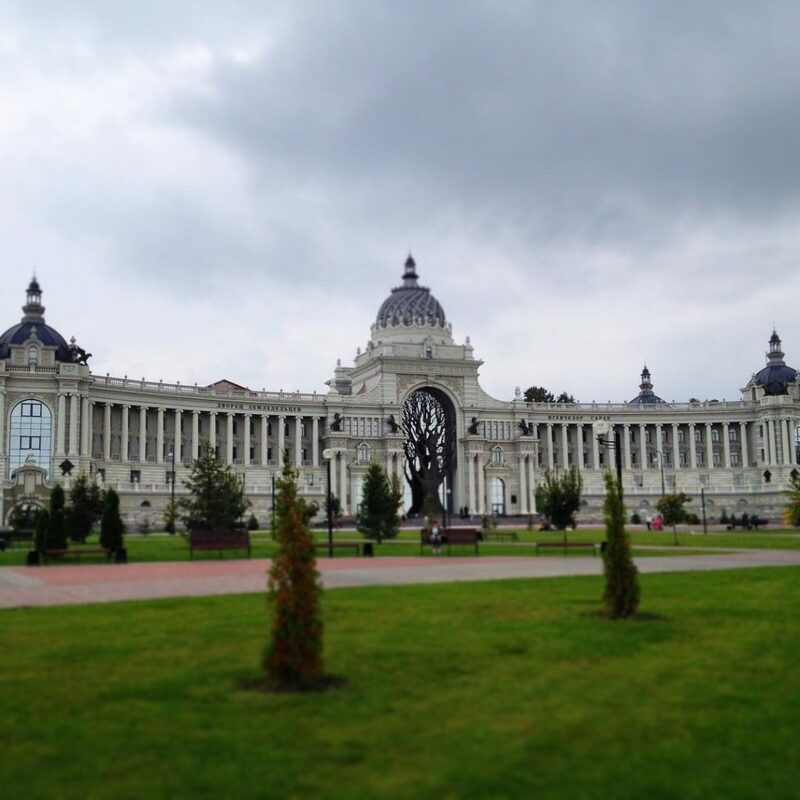 This is the home of Kazan’s wealthiest and most influential. If you are at all interested in aircraft or World War II history, this park is for you. The kids loved going here. There are all sorts of military vehicles on display, from tanks to submarines (well, a segment of a sub) and numerous aircraft. Considering that the Tupolev Tu-160 bombers and Kazan Helicopters are built right here in Kazan, seeing one can help instill a sense of the reason why Kazan is Russia’s Third City. After you get tired of wandering around the expansive park, then you can get a bite to eat at the nearby shopping mall. Fancy a park without military machinery? 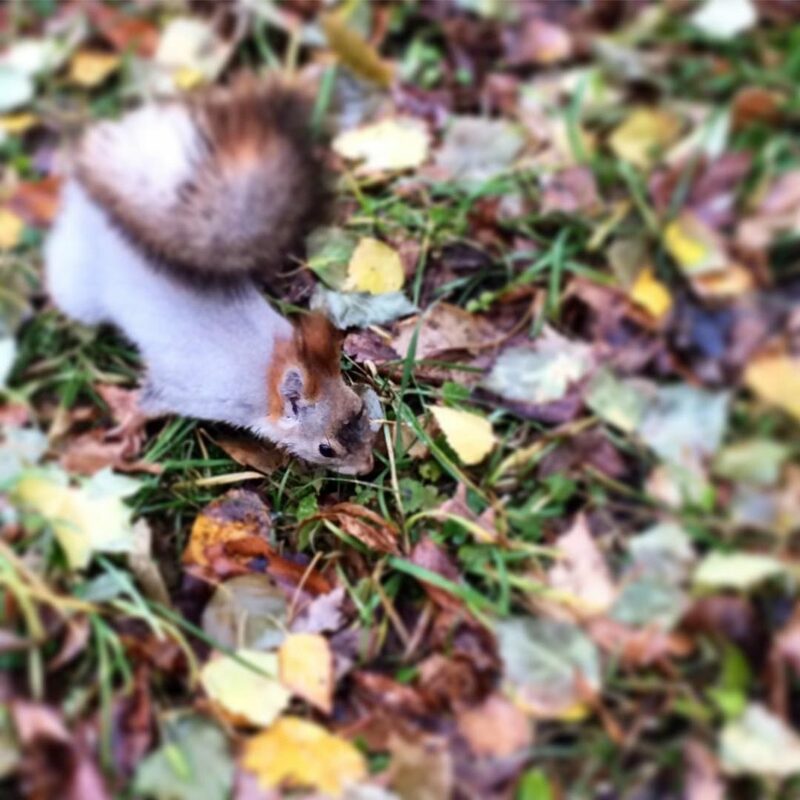 Gorky Park was our favorite place to go relax and let the kids stretch their legs while we watched squirrels. There are often special events happening here, too. Its main entrance is located by the large Korston Hotel, and there is a glittering war memorial with an eternal flame burning. There are paved walkways, tall trees with birdhouses, fountains, playgrounds, hills, hiking trails, and even restaurants and coffee shops for your pleasure and relaxation. If you are visiting with kids, it may be smart to bring a change of clothes in case they want to run through the fountains/splashpad. For the more aquatically inclined, Kazan boasts 2 different indoor waterparks. Baryonix is older and is supposed to be better for younger kids. The entrance is free for kids below 120cm (3’11”), and prices start at 800RUB for kids under 18 and 1,000RUB for adults. The second waterpark, Riviera, is pretty new. It is adjacent to a hotel and an entertainment center (bowling alley, movie theater, and a night club). Kids under 5y.o. go free, ticket prices start at 800RUB per child and 1,050RUB per adult. Both waterparks are great fun but can get quite crowded on the weekends. Shon loved Riviera because of its indoor/outdoor pool (we went during the winter, so the experience was memorable) as well as its thrilling waterslides. Kazan is home to the soccer (football to everyone outside the USA) team known as Rubin, and catching a game at the humungous Kazan Arena is fun. It’s accessible via bus or taxi. This is where the World Cup games staged in Kazan will be hosted. Ice hockey is a big deal in Kazan, and the local team is Akbars (wolves). Hockey games are fast-paced enough that they manage to keep our attention. 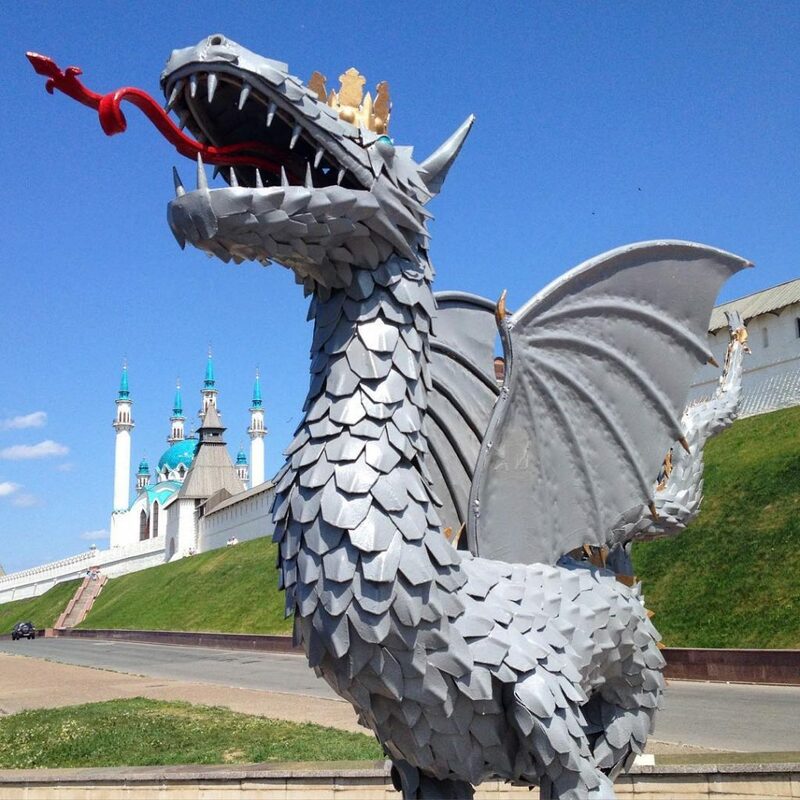 Should you visit Kazan during hockey season, it’s worth taking in a match. 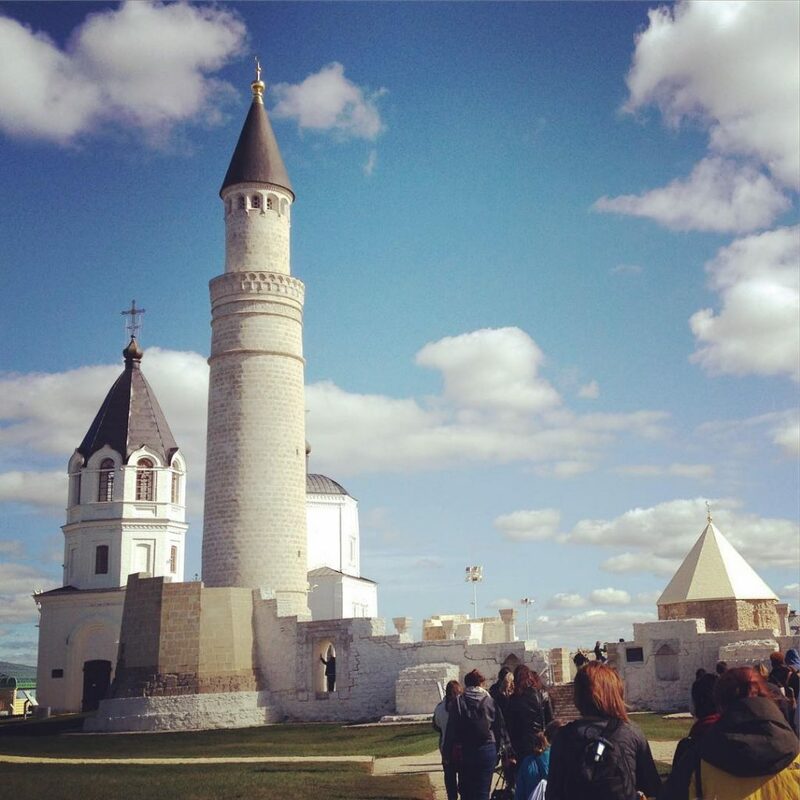 A fascinating day trip from Kazan is another UNESCO World Heritage Site – the historical town of Bolgar. The trip is via hydrofoil, a remarkably smooth way to zoom over water. It takes about two hours to get from the terminal in Kazan to Bolgar. 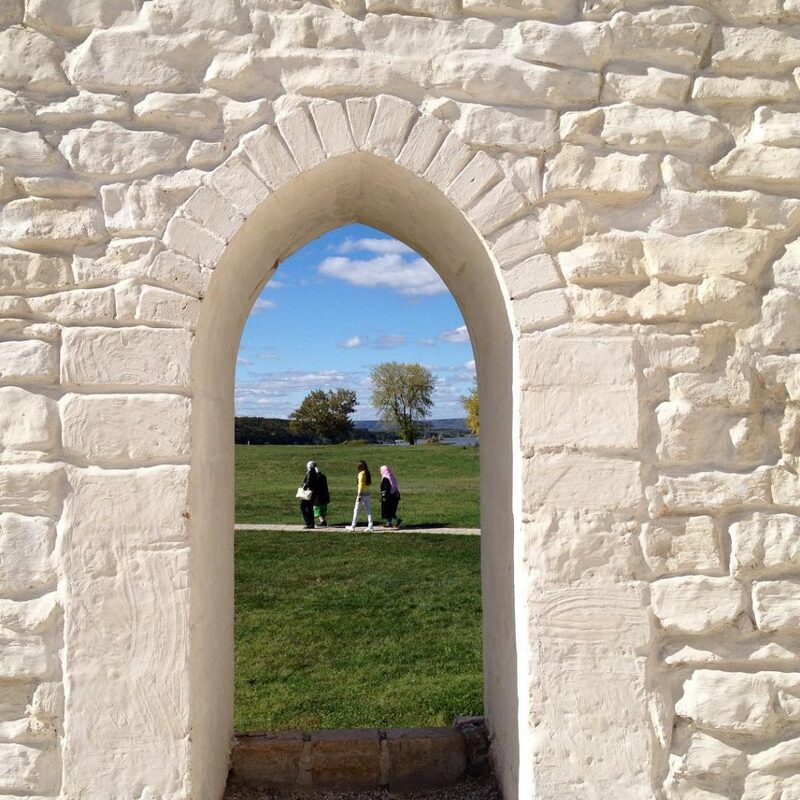 Once there, there are ruins to see, as well as a small museum. There’s a preserved old-style hamlet for folks to tour, with animals, and a pretty mosque. Jenia found this all quite boring, to tell the truth, but I thought it picturesque and it definitely enhanced my understanding of Tatarstan and its long history with Islam, which began around 700 AD and has informed the region’s culture ever since. 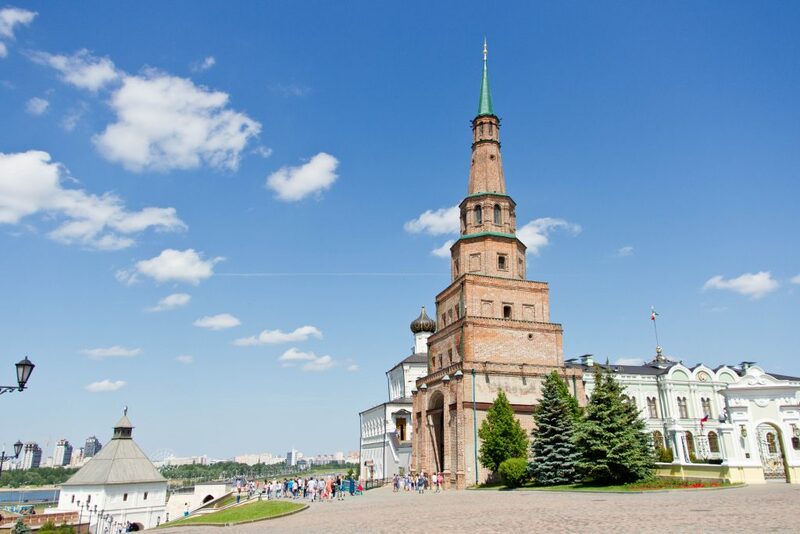 Sviyazhsk is home to yet another UNESCO site, the Assumption Cathedral and Monastery, and it is a place that any citizen of Kazan will tell you to visit. This is where Tsar Ivan the Terrible set up camp in order to beat Kazan into submission during the middle 1500’s. The town is more or less surrounded by water, and despite being connected by land (and therefore easily accessible via car), it’s often referred to as an island. 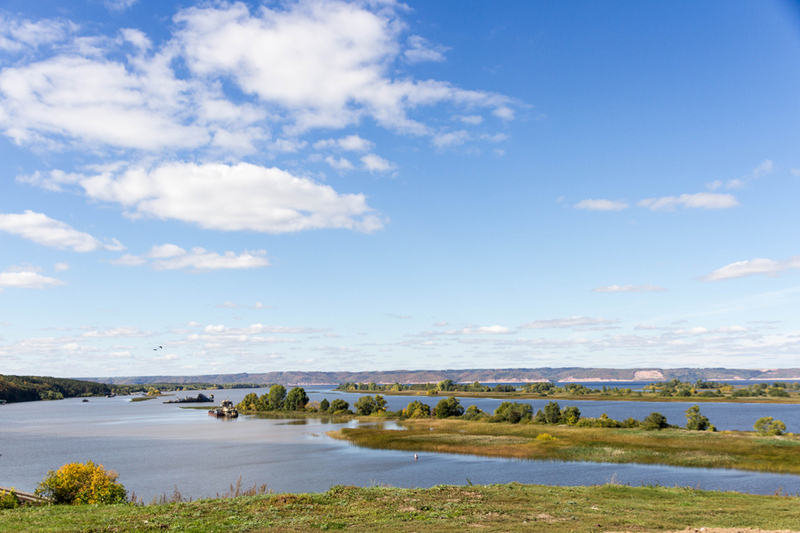 The easiest way to reach Sviyazhsk is by water; the trip takes about 2 hours. In 2018, the boat for Sviyazhsk will leave daily at 8.20am and leaves Sviyazhsk for Kazan at 4.30pm (arrives at 6.45pm). This year, as Kazan hosted the 2018 World Cup, more and more people will become aware of Russia’s Third City. 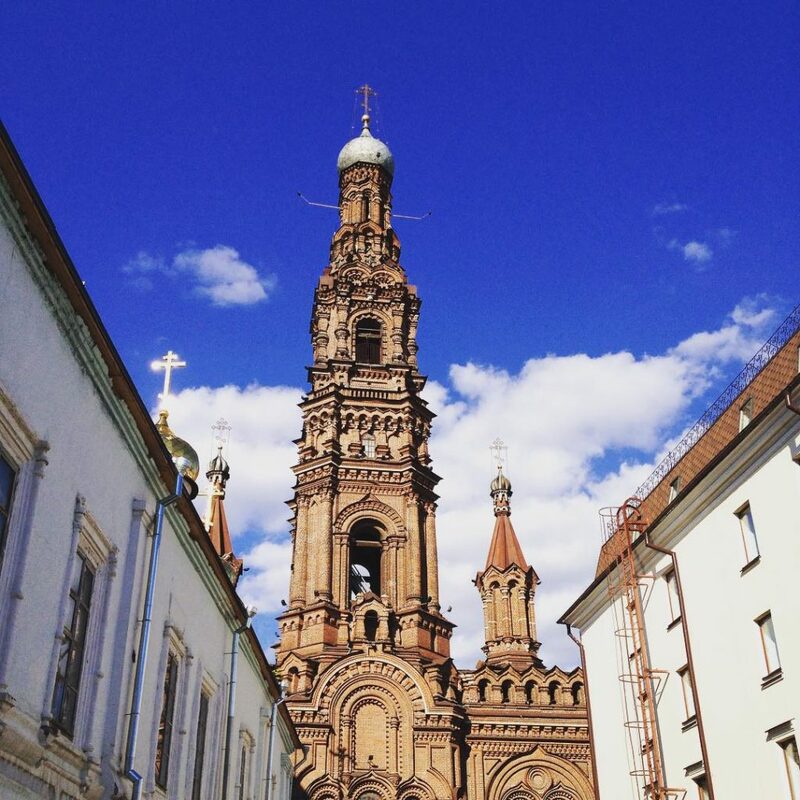 Whether you’re a sports fan or not, Kazan is well worth exploring while you’re in Russia. 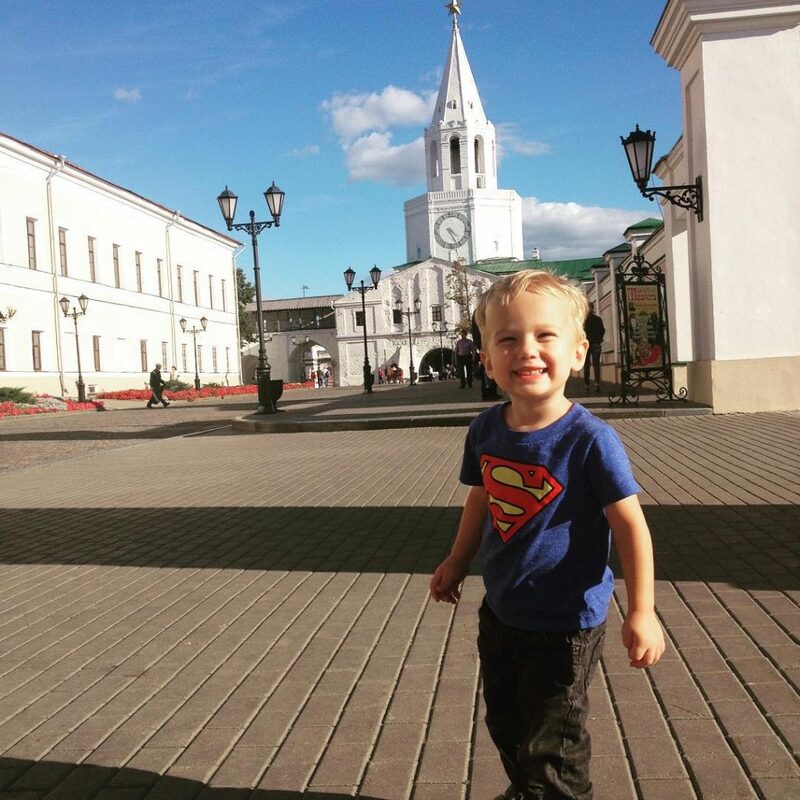 We find that Kazan’s size, easy navigation, reasonable prices, and family-friendly culture make it a great place to visit with young kids. You could take in most of the city’s notable sights in a couple of days, and short trips to Bolgar and Sviyazhsk would add a couple more, making Kazan a manageable extension to a visit to Moscow or St. Petersburg. I bet your friend has told you that the Tatar tongue and the Turkish one are quite similar. That’s what my Tatar coworker told me, at least, when I lived there! One day you’ll make it, and when you do, let us know what you think! I love all the beautiful buildings. I enjoy visiting someplace that is rich in history and beautiful architecture. I’m embarrassed to say I had to google where this was but Russia is definitely on my bucket list. I am not a big soccer fan but since you said the World Cup would be there, that is a big deal and I maybe would could just for that 😆otherwise I definitely would enjoy the other sites, as these are great even if you don’t have kids! Agreed! Kazan’s got a lot to offer. I love seeing a city equally split between Christians and Muslims. I can tell from the orthodox churches and the masques that both faiths seem to be flourishing. With all of this diversity, it’s no wonder that there are so many world heritage sites in the area. Yes, we both agree. 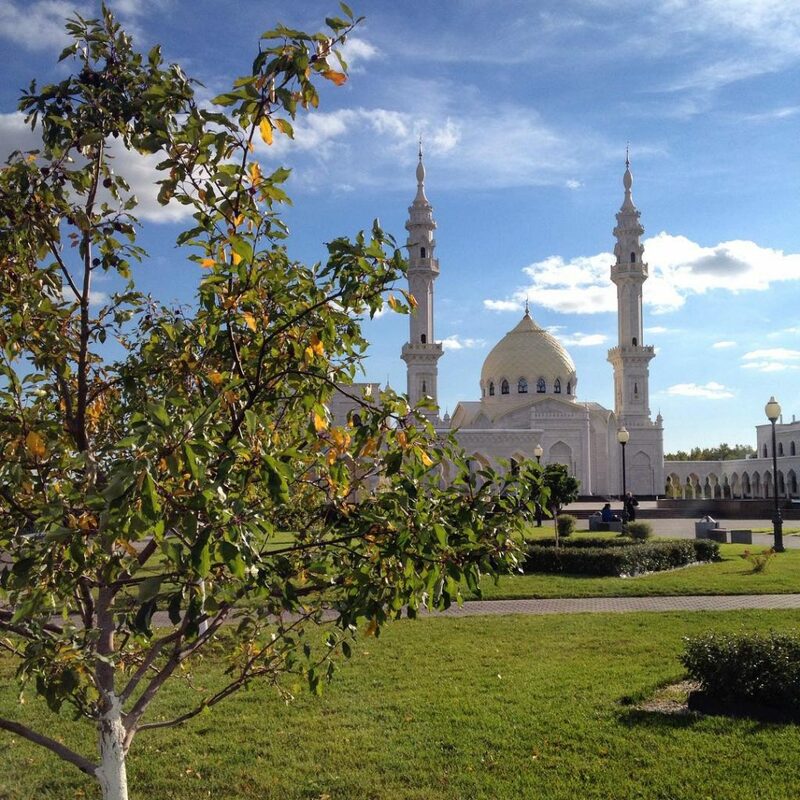 Kazan is a testament to how well people of faith can get along when they desire to. I do have to be honest and say this was not the first place I would have thought to visit while visiting Russia, but I think I am mistaken. The beautiful buildings and history alone make me want to visit. And my husband, being a World War II history nerd, he would enjoy a visit to Victoria Park. Indeed, such a pity you didn’t get to climb up the Bell Tower of the Cathedral. Would have loved to see some pictures from it. How I have I not heard of this wonderful city? Probably because I have yet to visit Russia. I am adding it to my list. How fun that the World Cup is going to be in such a cool city. It sounds like so many things to do and see. Thanks for sharing! Thanks, Angela! I hope you get to see Russia one day. It has tons to offer. I’m a bit embarrased to say I hadn’t heard of Kazan before, and I certainly didn’t know it was Russia’s third biggest city! I’ve been hoping to visit Russia for quite a while now and this looks like a great potential destination – plenty of interesting architecture, history and some lovely natural areas. Great post! I’m not FIFA fan at all – but I might become a Kazan fan after reading your post. It’s interesting how many great places there were hidden behind the iron curtain that now become known. Tatar – are they related to the Tatars as in Gengis Khan? Though I have heard a lot and read about Moscow and St.Petersburg, this is the first time I am reading about Kazan. I am a FIFA fan and know Russia is hosting this year’s World Cup. 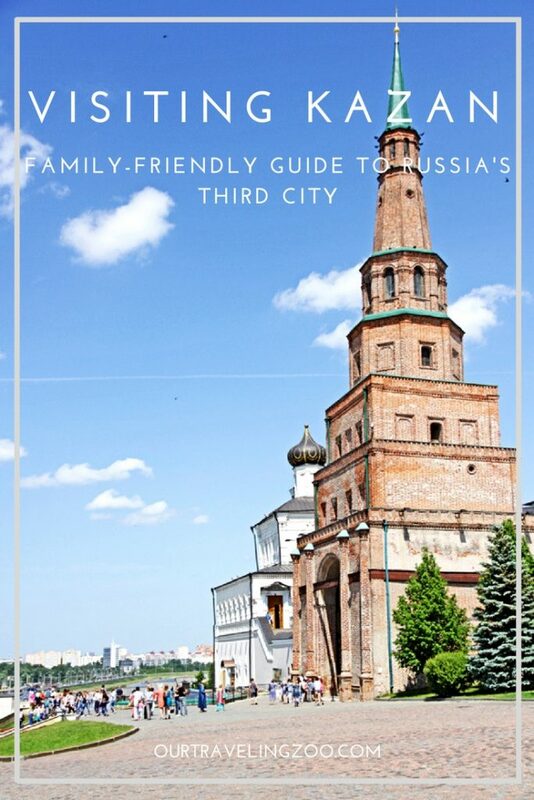 Kazan seems to be an ideal place for the whole family. There is something for everyone out there. I would love to visit Kazan’s Kremlin. There are actually 11 cities in Russia that are hosting the World Cup! I bet it will be tons of fun. I hope you get to go one day. Hi and thank you 🙂 We used a free scheme and did all the tinkering ourselves.